It’s a noisy world for investors. Whether it is the debate about when the Federal Reserve will taper its bond purchasing or what it means if the Dow pushes past the 16,000 mark, it’s easy to get caught up in the noise and think our best bet is to react to the news as it comes. Who needs a plan? Just follow the ticker tape at the bottom of the TV screen. That strategy doesn’t fill me with a lot of confidence. However, we’re often drawn to the noise because nothing else has taken its place. 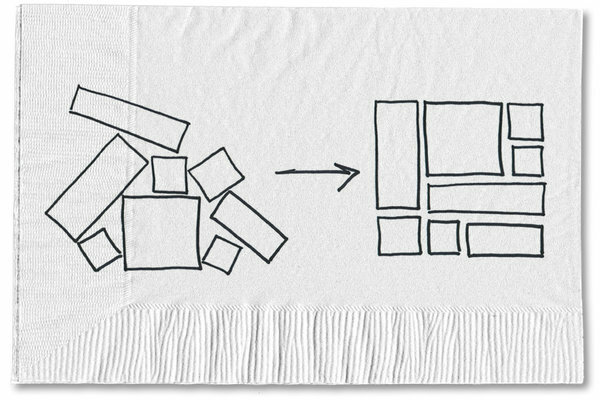 For instance, there’s one conversation that should happen, but it often gets buried by the noise: portfolio design. Yes, the concept is not new, but a well-designed portfolio can be the difference between good investment outcomes and disappointment. Yet, it’s one of those things we don’t talk about, and part of the issue may be that we don’t understand the process. So what questions do we need to ask to build a portfolio that cuts through the noise? ■ What should the split be among stocks, bonds and cash? This is the single most important decision we can make. How much of our portfolio we put in stocks drives the level of risk we are exposed to and our potential returns. This process is often called asset allocation. Even though this question is the most important part of the investing process, a simple set of questions can help determine goals and the level of risk we’re comfortable with. ■ How much can we save? ■ How much do we need? ■ When will we need it? ■ What rate of return do we need to make all this work? With the answers to these questions, we can assess how much risk is required (i.e., what portion of our portfolio needs to be invested in the stock market) to meet our goals and figure out a split that makes sense. The process of determining how much risk we can handle is driven by our goals, not the latest financial headlines. ■ How do we decide on the actual investments in the portfolio? Low-cost and diversified. If we keep repeating those words when we’re selecting investments, it helps filter out the stuff we don’t want in our portfolios. I’m a big believer in index funds because they offer those two qualities in one easy-to-understand package. ■ How do those investments work together? Each type of investment — stocks, bonds, cash — plays a different role in a portfolio. Stocks provide growth. Short and intermediate bonds can offer safety and some income. With cash, we’re looking for liquidity. By blending these different investments in a portfolio, we reduce (but don’t eliminate) the risk of any individual investment. It’s the zig and zag theory of investing. As one investment goes down, we can reasonably expect another to perform better. ■ How will we keep it in balance? Warren Buffett says that the key to investment success is to be greedy when everyone else is fearful and fearful when everyone else is greedy. That’s a great way to describe rebalancing or resetting your portfolio back to its original split among stock, bonds and other investments. I’ve talked about it multiple times, but the short version is that rebalancing helps us sell high and buy low. On the surface, these four questions may seem incredibly simple, but they are the starting point for understanding the investing process and how to design a portfolio. Once we better understand the process and know how it works for us, the easier it will be to ignore the noise and focus on the things we can control and that will contribute to our investing success. 0 responses on "Featured Blog: Cutting Through Financial Noise to a Well-Balanced Portfolio"